About 20% of all people suffer from allergies. Many people aren’t aware that allergies can be reduced or even eliminated through allergy desensitization treatment. Whether you suffer from annoying and uncomfortable allergy symptoms, or fear for a child or other loved one with a severe allergy, it may be possible to provide relief in only a few treatments. Many people use over-the-counter drugs, prescription drugs, allergy shots, or huddle indoors with air filters hoping to reduce the symptoms. Before you resort to using medication to reduce your allergy symptoms, you can make an appointment at our Hong Kong Integrative Clinic to see whether allergy desensitization could work for you. Allergy Desensitization Treatment is much more appealing than a lifetime of medication and discomfort, so find out whether your allergy can be desensitized. Treatments to reduce allergies are not suitable for everyone. In general, the very young and very old, as well as some pregnant women may not be appropriate patients. If you suffer from heart disease, severe asthma, auto-immune disease, malignancy, or are receiving certain medications, you will not be able to be treated in this way. Dr. Jamieson will advise you of your options for treatment when your allergy testing and diagnosis takes place. What Is The Treatment For Reducing Allergic Reactions? 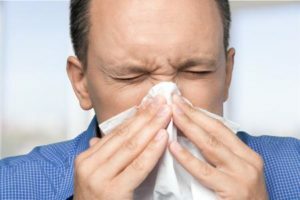 Allergy Desensitization & Immunotherapy is sometimes called “Allergy Vaccination”, but while many clinics use injections, we use a method with fewer side effects. Sublingual desensitization immunotherapy (SLIT) involves natural immunotherapy drops, placed under the tongue during your office visit. This technique is faster and painless as compared to allergy injections. Up to three different allergens can be treated in one visit. Children usually require 1-2 visits, and adults 2-3 visits per allergen. Learn more about Allergy Desensitization and read our Frequently Asked Questions here.